Time stands still, objects glow, everything becomes crystal clear, and the clairvoyant proceeds with confidence into the situation. 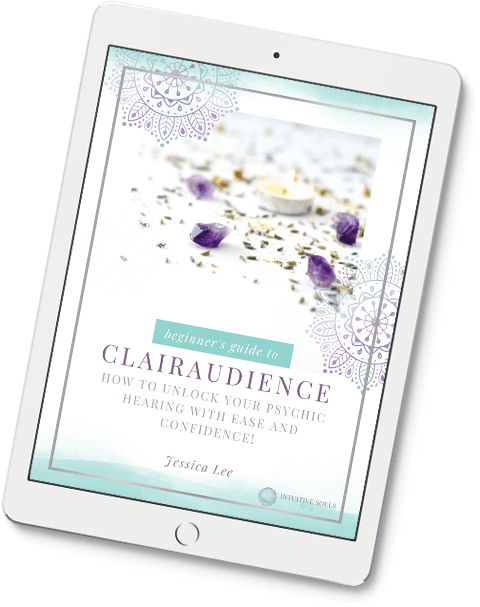 Here’s the scoop: real psychic abilities are subtle… and this is one of the main reasons that people have a hard time being confident in their psychic abilities. In reality, there’s usually no jaw-dropping realization, no flashing neon sign, and no obvious-to-the-world moment. Best news yet? You’re probably already having psychic experiences and don’t even realize it. Woo-hoo! So let’s have a little chat about how to start trusting your intuitive gifts. Repeat after me: Intuition is your birthright. We’re ALL born intuitive – you, me, your cat, and cutie pie Ed Sheeran. When you have a gut feeling or sense about something, that’s your psychic gifts guiding you. Trust me, your spiritual team did not just drop you here on Earth so you can fend for yourself like you’re trying to survive The Hunger Games. Rather, we were all born with our own “GPS” called intuition. Our intuition is our sixth sense, and it’s just as natural as our other senses. In reality, you’ve known about and felt your psychic gifts since before you can even remember! It means that ANYONE at all can learn how to kick it up a notch and develop their psychic ability! Best news yet? Psychic experiences are probably happening right under your nose. I struggled with doubt and confidence as a psychic reader even years into my journey. But remembering that your psychic gifts are natural is a great way to start building trust. Did you ever get a good or bad vibe when you met someone new? Have you ever trusted your “gut” instinct and it turned out to be right? Or maybe your nephew broke your vase when he came flying in with his big book bag and you thought to yourself… I saw that coming! Those things all happened because of your psychic gifts. They weren’t a coincidence and they weren’t just by chance — even if that’s what your logical mind is trying to tell you. Fun fact: We all have Spirit Guides who have agreed to help us through life. I have one that gives me advice on all things parenting, one that rocks at business, and one (or ten) that help with much needed “mom” guidance! These Spirit Guides are so pumped for you to start using your psychic abilities because that’s how they connect with you (it’s too bad they can’t use FB Messenger). So getting to know your Spirit Guides will not only validate your psychic gifts, it will strengthen your abilities all together! Our intuition is always communicating with us. So if it feels too big to listen to your abilities on big things, start by tuning into your intuition on smaller things. Did you get a gut feeling to pick this Uber driver over another one? Go with that! Does the tuna sandwich all of a sudden look delicious even though you’re normally a ham and cheese gal? Try it out! Are you feeling a nudge to chat up one of your co-workers? Head over! By following these small nudges throughout the day, you’ll be more likely to trust your psychic gifts when larger things come along – and even use them to help others. Plus, none of those things happen without reason, so you’ll benefit all around! Maybe that co-worker has the angle you need to bring up with your boss and finally get that promotion! I can’t overstate this — psychic abilities are nothing like you see on the big screen. But on top of that, they don’t feel or look the same from person to person! It’s kinda like a group text message. When someone responds with “K”, one person may think that’s totally rude, one person may appreciate the confirmation, and one person may wonder why they didn’t send a GIF. Some of us are clairvoyant (receive psychic impressions through images and visions). Others are clairsentient (get “vibes” about things). Some are clairaudient (“hear” psychic impressions). And yet others are claircognizant (have a sense of Inner knowing). So release what you’ve been expecting to happen and be open to how YOU receive psychic impressions. And remember, it’s super fun to keep a journal during this time so you can see how far you’ve come! Real life psychic moments aren’t time-stopping or Hollywood worthy. They are subtle and natural, and can even present in non-obvious ways! Take time to understand how YOU respond to your psychic gifts and start trusting for small things — like which kind of sandwich to order at lunch. Journal each experience to have and use that record to keep your logical mind and doubts in check the next time you feel like you’re receiving an intuitive message! That’s all I have for you today, friends. I hope you’re pumped to start trusting your psychic gifts.